When Chelsea Clinton recently got married somebody wrote out a very large check. Initial speculation put the soiree’s price tag between $3 and $5 million but it looks like it came in at a modest $2 million. I guess the checkwriter was the former president. He said his only jobs were to walk his daughter down the aisle, and “pay the bills”. I guess he can swing it. But should he? Last week I read a letter from a hapless father to one of those advice columns in the newspaper. For their daughter, his ex-wife and her second husband were planning a very expensive wedding. Dad was on disability due to a work accident and wondered if he was still responsible to pay for half of a wedding in which he had no say and which he could not afford. The columnists assured him that he was not obligated to pay more than he could. Then they gave some blanket advice to engaged couples: We strongly urge young couples to help pay for their own weddings and stop bankrupting their parents for one day’s festivities. 1 day? Part of 1 day. The ceremony may last 20-30 minutes, the reception 2 hours. Add some minutes here and there and let’s call it 4 hours. At an average US cost of $27,000 (not counting the ring or the honeymoon) that’s $6700 an hour. 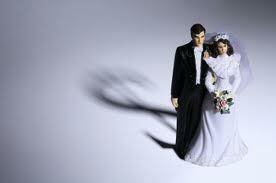 If the groom’s parents take the initiative, costs are sometimes divided between both sets of parents. But it’s still a chunk of change–and you’re in my prayers if God blessed you with all daughters! I’m with the columnists–but my beef goes beyond weddings. For some time its been prevailing doctrine that parents are morally responsible to pay for extravagant weddings, pricey college tuitions, and anything else their kids want that a friend’s parents buy her. Parents fall in line as if this is holy writ direct from Mt. Sinai. If they fail, they sin. Trying to be good parents, moms go back to work, dads take a second job, maybe remortgage the house, or raid retirement accounts or take out loans. The really desperate put some more on a credit card that’s not yet maxed out. And the children? Most have no clue the enormous sacrifices their parents are making. That’s OK. Sympathy’s not the point; financial savvy is. Parents who liberally fund their children’s wish lists for 22 years inadvertently handicap them. The studies all say that in general the twenty-something crowd is woefully ignorant about money; “financially illiterate” one said. That’s to be expected when Mom and Dad have always picked up the tab. It’s like taking the pitches at home plate instead of handing the bat to your children so they can learn to swing themselves. On the matter of college, parents get defensive, “My kids could never afford to go without my help.” All three of mine did. They weren’t the first or last to do so. Many, many more have paid a part of the costs. There are scholarships, grants, summer jobs, jobs while in school, options to attend a jr. college or less expensive school, loans and the military. For many years, people without money who wanted to attend college, FOUND A WAY to go. When the time came for our children’s weddings, we set a figure we thought we could afford and said, “This is how much we can give you. If you spend more, it’s your own responsibility.” They made some very frugal choices. Not quite a Bride’s magazine splash, but very nice and special nonetheless. On the first day of their honeymoons, they were just as married as they would have been with $20,000 weddings. Here’s the thing: children have no idea what it costs their parents to provide all that they provide. Even once a daughter is 18 and bound for college, nothing’s changed because Mom and dad are still picking up the tab for most or all of her expenses. If he’s in college or just out, many young people are still living at home off their parents largess. They don’t pay rent (a mistake, I think), pay utilities, buy food, stock a kitchen with utensils and small appliances, don’t have to buy furniture… If they didn’t pay for college, and still aren’t paying for most of their living expenses, how will they learn what living really costs, managing income and outgo? Are they ready for marriage like they think? The financial learning curve might be stalled. Parents can help by starting young. Limit what you buy little children, and as they grow require them to buy some of what they want. I advise engaged couples, “If you have children buy them less than you can afford.” Buying them too much stuff turns them into little materialists instead of disciples. Who then grow up with a sense of entitlement instead of a sense of servanthood. Go ahead, buy them some of what they want. But some, they should buy (with allowance money, odd jobs pay, birthday money, etc. ), and some, nobody should buy. If you want to help them get a car, go ahead. Help them. College? Help them. Weddings? Give them a budget. I don’t think it is moral to help our kids more than we can. It’s certainly not moral to help them more than we should. Requiring them to pay for some things themselves will get them started to seeing the world as it is, not the world mom’s and dad’s generosity pretends that it is. Well said, Keith. I think families miss the idea of stewardship when it’s viewed as only “providing and giving.” A critical step of stewardship is preparing the next steward! Ramsey has got some great material on teaching kids about money at a young age.I also find it ironic that by paying for college through refinancing the house and draining retirement accounts, parents then run the risk of depending on their kids to take care of them in “retirement” (whatever that may mean for each family), since they’re not able to save for it as much. Those years of care will lead to a much bigger bill than tuition! Excellent points, Jeremy. Stewardship of resources, AND stewardship of our children. The sad thing in some cases is that the children are not nearly as willing to “give” back to mom and dad as they age (1 Timothy 5:8), as they were to “receive” back in the college and wedding days.